Home » Blog » Inbound Marketing » Curating Our Own Content – Any Value to be Found? Curating Our Own Content – Any Value to be Found? What if you did the same? What would you find? This is what we ended up with after a bit of topping and tailing. 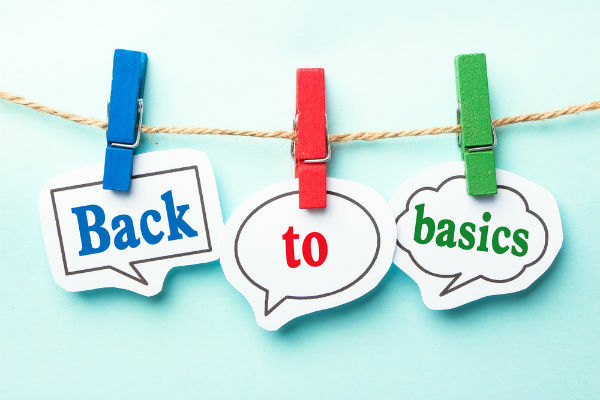 A back to basics article on inbound marketing. Inbound marketing is an ever-changing and challenging industry and it can be hard staying on top of your profession and industry. One of the best ways to stay on top in marketing is to remember the basics. It’s very easy to become overly focused on the details or more advanced aspects of and forget the foundation. This is true of any skill, however, as years of experience can make you take your older skill set for granted. The following articles are a quick refresher covering important foundation skills. Inbound marketing is a science with a heavy focus on modern internet platforms such as social media accounts, websites, blogs, and search engine rankings. Here is a brief overview of the basic mechanics of inbound marketing and tracking results. Content is still of utmost importance and often it’s not what you write but how you write it. This article covers basic aspects of content creation, innovation, and how to successfully reach potential customers. As the above article notes how you write your content is important. While getting across facts and key data is important so is how marketing material reads. Material that is easy to read has far more positive results than material that reads like appliance instructions. Click here to learn more about the science behind readability. Writer’s block is an annoying and sadly unavoidable part of the writing process. It can also be difficult coming up with new marketing material and you may feel like you have run out of good ideas. Sometimes all it takes is a little inspiration, this article lists five places to get inspiration. In the modern world, attention spans are short and there is no lack of distractions. This can make catching a reader’s attention difficult as they skim an article and don’t take in any of the content. See more information here to make your material more attention grabbing and to make sure people are actually reading it. Content commonly comes from one of two places. The first type is content that you produce yourself and is your (or your company’s) own original content. The other is outside material from other sources that is still content relevant such as an industry report. Striking a balance between these sources is highly important and talked about here. Don’t forget the importance of good public relations. PR is an important component of your marketing campaign and is a useful tool, this article goes into further detail on executing an effective PR campaign. Marketing at its heart is a solution based industry. A customer has a problem and your company has a good or service that can solve this problem. The challenge is both being useful and standing out from the crowd. Lastly, don’t forget to track your results. Measuring your success is important because one it shows that your marketing content reaches readers and two it tells you if you need to make changes. By measuring success you can keep track of what works and change what doesn’t. See more about how to track your marketing results here. When reading the above material there is a lot to take in. The key message is never become too complacent. Inbound marketing is a unique combination of hard facts and creativity. By focusing on originality, communication, and tracking your results you assure that your marketing material is reaching customers.